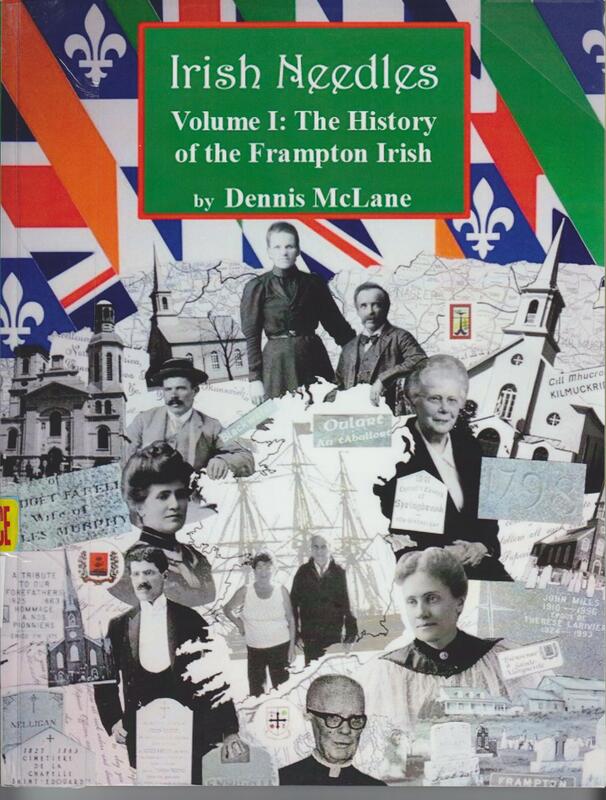 Irish Needles provides the history and genealogy of the Irish immigrant families that settled in Frampton Township in French Quebec in the early 19th Century. 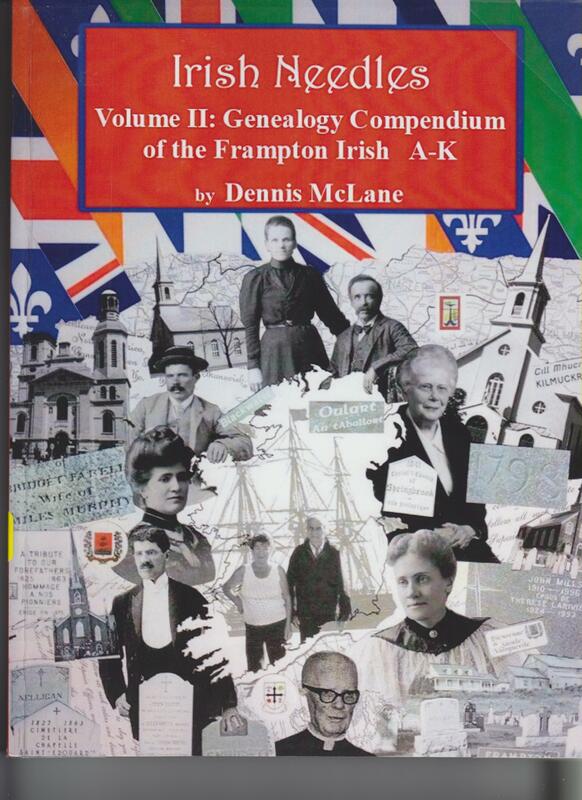 The author has tracked these families from their origins in Ireland to their arrival and settlement in Quebec and the ultimate diaspora of their descendants throughout Canada and the U.S. The author discusses the reasons for their emigration to Quebec: involvement in the 1798 Irish Rebellion, agrarian disturbances, religious oppression, land tenure discouragements, economic downturns, and minor famines. These emigrants discovered economic and employment opportunities in Quebec that their Irish counterparts decades later would not find in places like Boston and New York. In his research, the author discovered that his own Great-Great-Great Grandfather Andrew Murphy was the first settler in Frampton Township. This ancestor lived through the 1798 Rebellion, and his father Miles Murphy was imprisoned in Dublin from 1800 to 1806. The Murphy family left for Quebec shortly after Miles was released and banished in 1806. These Murphys encouraged their Irish relatives and friends to settle in the Frampton area. 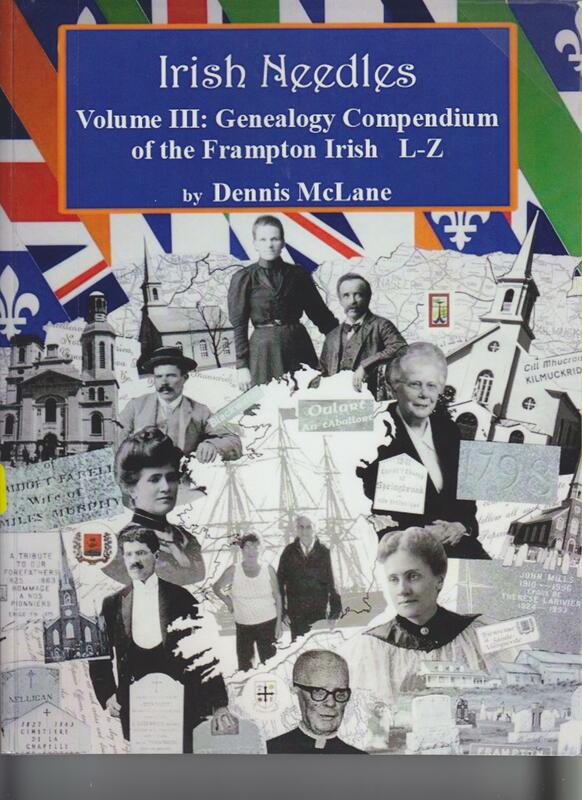 The Irish who lived in Frampton and the surrounding townships and siegneuries were interrelated to the few English and Scottish families that lived in the area. So the author has put together an all encompassing history of this diverse community and has included both those of the Catholic religion and those of the Protestant religions.